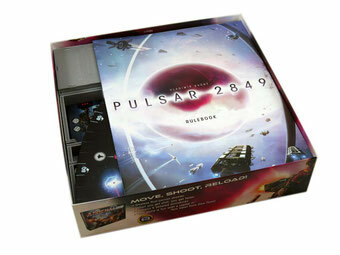 This Campaign 3 insert is designed to be compatible with Pulsar 2849®. The design provides both efficient storage and improved game play. The trays can be utilised during the game, and they greatly aid set-up and clear-away times. The rules and boards act as a lid on top of the trays. Here you can see the top layer of trays. 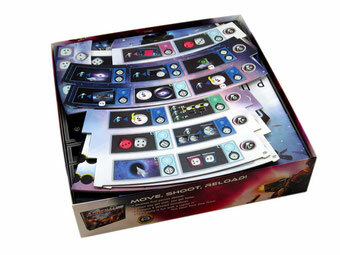 The insert includes separate trays for each of the colour player pieces, with separate slots for the card and plastic components. The other trays are for the gyrodyne tiles, and the engineering cubes, four-cube tokens and other tokens. These are the trays for the transmitter tiles, the planetary system tiles, the seven and four point award tiles, and then the trays for dice and the modifier tokens. 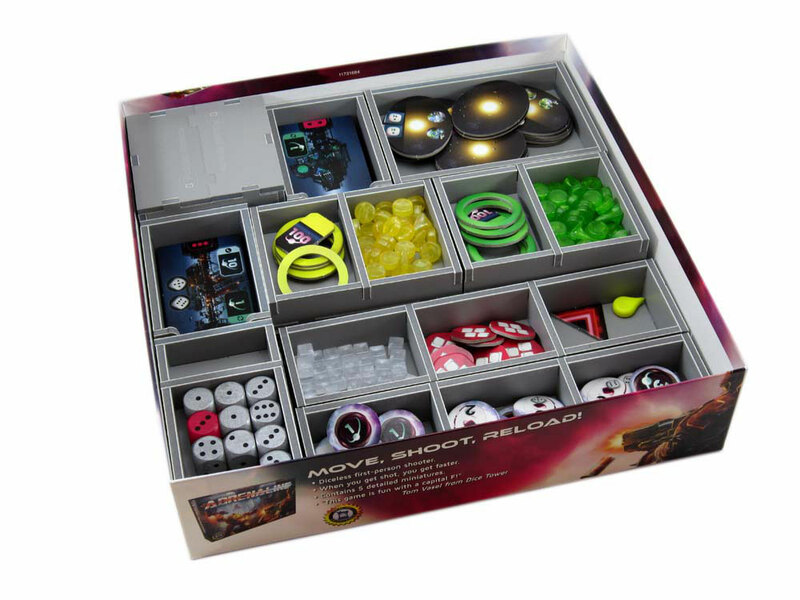 As mentioned above, the trays can be used during the game to organise the components and make access by all players easy. When packing the game into the box with the insert, the HQ boards and goal tiles go as shown here, on top of the trays below, in a recess made for them. The game board is then placed on top. This is kept in place by the square filler tray in the top left corner. Note that while some trays can be seen below the board, these are for the large transmitter tiles, which cannot come out with the board positioned in this way. On top of the board go the rules, and then the remaining curved boards as shown. With all the components placed in the box as shown and the lid kept on, the box can be stored vertically.